Duncan is a charming 5-year-old boy who lives with his parents in The Netherlands. 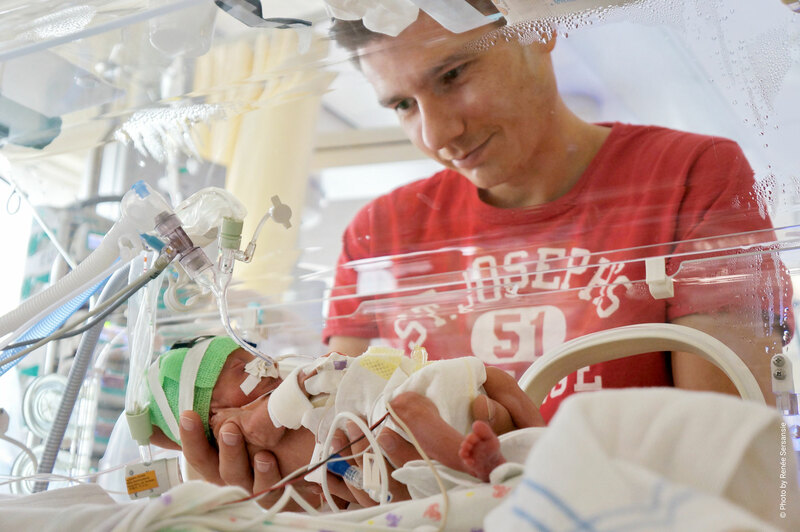 He is born extremely premature with a brain damage (cystic PVL III), and is diagnosed with spastic quadriplegic Cerebral Palsy, GMFCS level IV. Due to early interventions Duncan has very good hand function (MACS II) and very good ability to express himself and is according to the CFCS on a level II. At the age of two, he started to practice self-propelling of a manual wheelchair at a therapeutic centre, which he learned very quickly. A few months later, Duncan got his own individually adapted wheelchair. Today, he is independently navigating himself around in the house, easily avoiding obstacles. He opens the refrigerator and picks out what he would like to be served. His ability to use his legs however are limited - he can’t stand or walk himself - and due to high tone in his adductors, his legs are crossing a great deal, making it difficult for him to move forward in walking devices. Read more: Why Is Early Childhood Intervention so Important? What has Duncan gained from using the Innowalk? In 2015 his mother saw the Innowalk on Facebook for the first time, but it wasn’t until 2016 that his parents got to see the device in action at a fair. Immediately upon seeing it, they were sure it was something Duncan had to try. In autumn 2016 a test period with the Innowalk at home started to see if this device would really add something to the possibility of moving Duncan’s legs and train his muscles. The Innowalk was immediately accepted by Duncan, who quickly increased his time in the device. In March 2017 he finally got his very own Innowalk after a successful crowdfunding. Today Duncan is using the Innowalk for one hour daily. His parents find it very easy to position him in the Innowalk, and he is happy to use it for his daily exercise. Duncan’s training has positively affected his gastrointestinal function, and he is more flexible in his joints, especially in his hips. His parents also experience a more relaxed Duncan after each exercise because the muscle tone decreases. The increased flexibility and relaxation have been helpful when performing long-sitting stretching or stretching in a standing table. 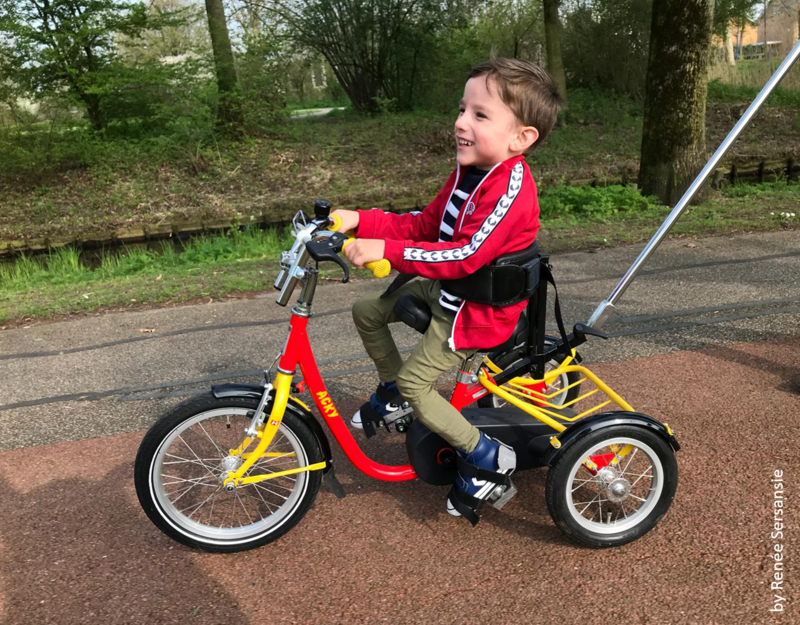 Duncan’s left hamstring is shortened, and he’s not able to fully stretch his left knee, but after intensive sessions in the Innowalk as a warm-up activity, the stretching has resulted in more flexibility, even in his knee. Because of this, his parents have found that the Innowalk, standing table and long-sitting stretching are all complementing each other, assuring a better outcome in the long run. 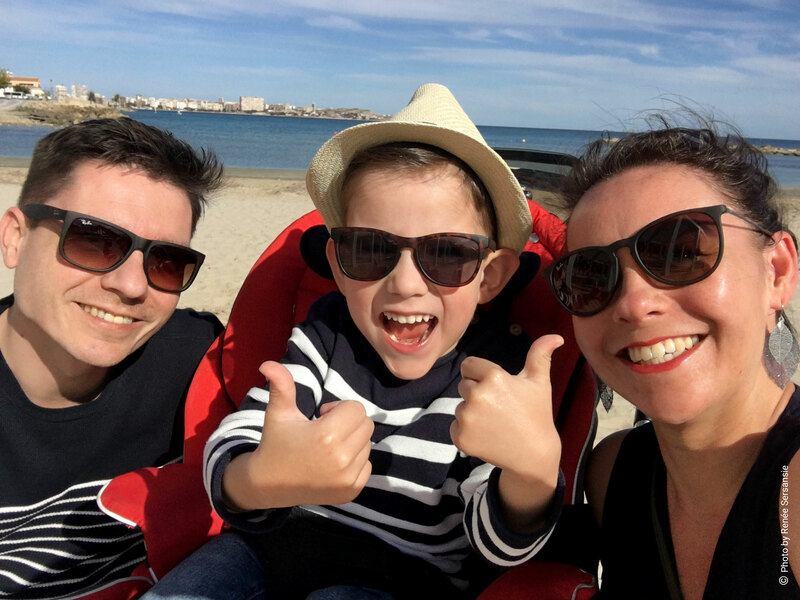 Already at the age of 2,5 Duncan had his first soft tissue surgery in his adductors to prevent further development of hip subluxation. He has had a very good effect on his right hip, which seems to stay stable. Unfortunately, a femur varization osteotomy was no longer avoidable for his left leg. The Innowalk has been an important assistive device in the rehabilitation period after the surgery where Duncan has had a lot of pain and reduced strength because of botulinum toxin injection within his left hamstring. He is now fully recovered and is back in almost fully stretched, vertical position in the Innowalk. His upper body stability has increased, and by using less support in the Innowalk, Duncan aims to increase his stability even further. You are welcome to follow Duncan on Facebook “Stapjes voor Duncan”.